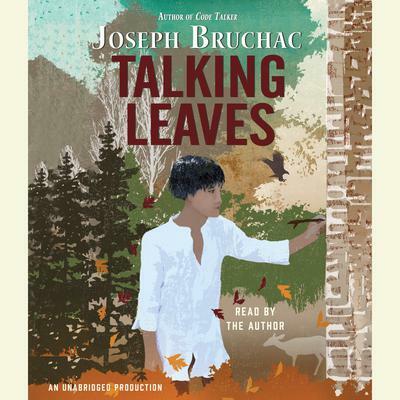 Talking Leaves - Audiobook | Listen Instantly! Thirteen-year-old Uwohali has not seen his father, Sequoyah, for many years. So when Sequoyah returns to the village, Uwohali is eager to reconnect. But Sequoyah’s new obsession with making strange markings causes friends and neighbors in their tribe to wonder whether he is crazy, or worse—practicing witchcraft. What they don’t know, and what Uwohali discovers, is that Sequoyah is a genius and his strange markings are actually an alphabet representing the sounds of the Cherokee language. The story of one of the most important figures in Native American history is brought to life for middle grade readers. Download and start listening now!